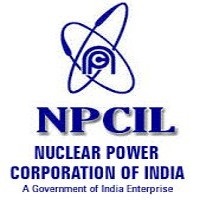 NPCIL Jobs Recruitment Notification 2018.Nuclear Power Corporation of India Limited, NPCIL inviting applications for the positions of Trade Apprentice.Interested and Eligible candidates can apply for the positions. Name of the Trade: Lathe Operator - 01, Machinist - 01, Welder - 02, Fitter - 14, Electrician - 08, Electronic Mechanic - 06.
a. Lathe Operator: Passed 10th class examination with Science and Mathematics under 10+2 system of education or its equivalent and . ITI Pass Certificate in Lathe Operator Trade. b. Machinist: Passed 10th class examination with Science and Mathematics under 10+2 system of education or its equivalent and ITI Pass Certificate in Machinist Trade. c. Welder: Passed 8th class examination from a recognized school and ITI Pass Certificate in Welder Trade. e. Electrician: Passed 10th class examination with Science and Mathematics under 10+2 system of education or its equivalent and ITI Pass Certificate in Electrician Trade. f. Electronics Mechanic: Passed 10th class examination under 10+2 system of education or its equivalent and ITI Pass Certificate in Electronic Mechanic Trade. 3. Place of Training: Madras Atomic Power Station, Kalpakkam- 603 102, Kanchipuram District, Tamilnadu. a) 90 % of minimum wage of semi-skilled workers notified by the Govt. of Tamilnadu, if he/she had undergone 2 years ITI Training course. b) 80 % of minimum wage of semi-skilled workers notified by the Govt. of Tamilnadu, if he/she had undergone 1 year ITI Training course. 1) Educational qualification (8th, 10th, 12th Mark Sheet as may be applicable). 3) Other qualification / Experience Certificates. 5) Community certificates of those belonging to SC/ST/OBC. 6) PWD Certificate (if applicable). 8) Employment Exchange Registration Card. 9) Recent passport size photograph. 1) Candidates should submit duly filled application in the prescribed format only. Candidates should submit only one Application form and not more than one irrespective of number of Trade applied for. The period of Apprentice training will be one year only. The applicants who have already undergone Apprenticeship training partially/fully for a period of one year or more in any discipline need not apply. 3)Candidates selected for training will not be allowed to withdraw from training except for reasons, which are beyond their control. Before commencement of the training, the candidates will have to execute a Contract of Apprenticeship. Those who absent themselves are liable to refund the whole cost of their training as well as the amount received as stipend as determined by the Central Apprenticeship Adviser. 4) Every Apprentice who has completed the period of training will have to undergo a test to be conducted by the National Council for Training in Vocational trade to determine his proficiency in the designated trade. Only on passing the test, a Certificate of Proficiency in the trade would be issued by the National Council. 5) The Engagement and training are strictly in compliance with the provisions of the Apprentices Act 1961 and there is no obligation for employment of the Apprentices on completion of their training. 2. The applicants found suitable will have to appear for the Trade Test/ Certificate verification. Candidates called for the Trade Test/Certificate verification, shall meet the related expenses by themselves. 3. Candidates may download the Application Form (Annexure-I) from the NPCIL Website www.npcil.nic.in . Before applying the candidate should ensure his/her eligibility for Apprentice Training. 4. The application should be submitted in the proforma given in the advertisement, preferably type written on A4 sixe paper. The outer cover should be superscribed “APPLICATION FOR ENGAGEMENT OF TRADE APPRENTICE against Notice No.01/MAPS/HRM/TA/2018. 5. The duly filled in application form affixing your passport size photograph on the space provided alongwith of all supported documents may be sent to the following address: Manager (HRM), HRM Section, Nuclear Power Corporation of India Limited, Madras Atomic Power Station, Kalpakkam-603 102. Kancheepuram District, Tamilnadu. 6. The filled in application should reach us on or before the last date i.e. 16.08.2018. Applications received after the last date for any reasons will not be considered. 7. Incomplete/erroneous application or applications without proper enclosure will be summarily rejected without any communication.